The art of food preservation has been practiced by people for ages. The first people to preserve food were primarily doing so to secure their food supply during periods of drought and winter seasons when hunting, foraging and growing food was difficult. In short, food preservation was and still is a way to ensure that you have a sufficient supply of food when resources are scarce. Most people today have forgotten these techniques as there is less of a need for it when anyone can just walk to the store and restock their supplies. But what if those options were suddenly unavailable? Learning and practicing how to preserve food now will not only help you in the present, by allowing you to grow larger amounts of your own food but also in the future if the time comes when there is a period when access to food becomes limited. There are different processes you can learn and use to preserve food, but which one you use depends on the type of food that you want to preserve and the materials you have available. One of the most common methods that can be easily done at home is pickling. This process is pretty simple; it involves soaking foods such as vegetables, meats or eggs in an edible liquid that will kill bacteria and other micro-organisms. Typical solutions that are mostly used for pickling are vinegar, alcohol and vegetable oils. 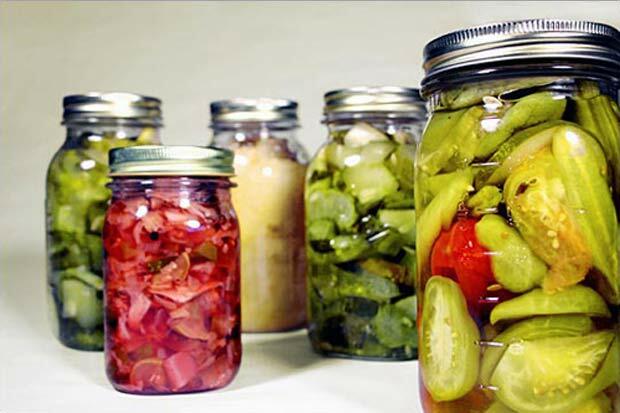 Food items placed in these solutions are usually boiled for a short period so that the items being pickled become fully saturated with the solution. This is an easy and most convenient way to preserve food that almost anyone can do. Canning is another great preservation method that you can use to store produce from your over-productive garden during the summer. Almost anything can be preserved using this process. The canning method is done by cooking food and then sealing it in an airtight sterile container. Once the food is sealed, the containers are then boiled to further sterilize and kill any remaining bacteria. Some foods require further steps to avoid spoilage by using a pressure cooker to ensure maximum sterilization. Drying foods is one of the oldest techniques of food preservation. Before the invention of portable dehydrators, drying food literally meant letting them dry out under the sun. Drying food is an effective way of preservation by eliminating water and moisture in food which will inhibit the growth of bacteria. Bacteria requires moisture to grow and by removing that moisture you eliminate the process in which in uses to spread. Drying food under the sun also kills bacteria in food because the sun’s rays contain UV radiation which is lethal to bacteria. 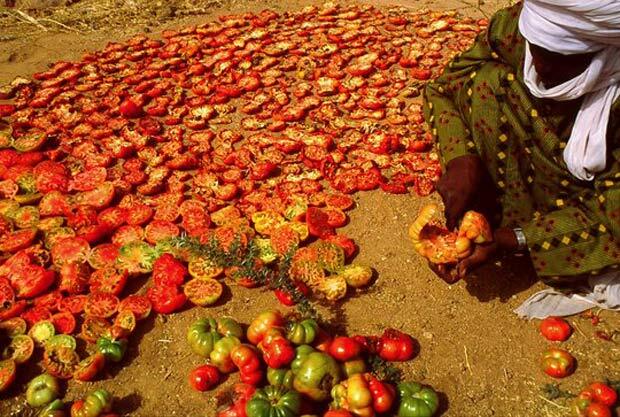 Nowadays, drying fruits, vegetables and meats are made easier and faster with the aid of modern dehydrators. Dehydrated food can be eaten as is or re-hydrated with water. It may not taste as good as if you were to eat it fresh, but most of the original taste and texture is still retained. Another common way to dehydrate food, especially meat, is the use of salt. Salt draws moisture from the meat through a process of osmosis and can have the same benefits as sun drying. The only drawback of course is that your food will taste salty and be full of sodium which is not the best for your health. Knowledge of food preservation can be very handy and economical. Instead of buying all those off-the-shelf products, you can grow your own and store them for extended periods of time until you need them. This will save you money and avoid the unnecessary chemical additives in commercial preserved food products. If you have a backyard garden, preserving food can be a great way to be self sufficient with your own food supply. It is also an excellent way to avoid wasting produce that can’t be eaten in time before it spoils. Give food preservation a try and you will see all the benefits it can provide.